What is a rack unit? A unit used to describe how much space a piece of electronic equipment will take up in a standardized mounting system, described below. 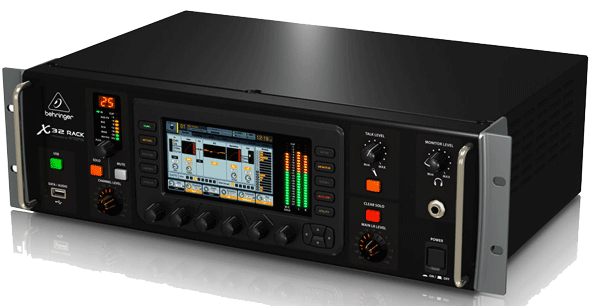 One rack unit = 1¾ inches of height of the equipment's rectangular front panel. Symbol, U, or sometimes RU. The panel width is standardized at 19 inches (482.6 mm). (Standard racks with widths of 23 inches (584 mm) and 30 inches (762 mm) are also made, but rarely encountered by consumers.) The heights of the panels are standardized at multiples of 1¾″, so, for example, a panel 5¼″ high (5¼ = 1¾ × 3) would be described as a 3U panel. 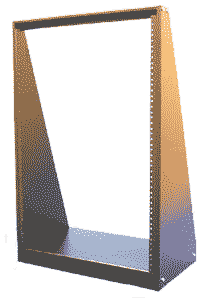 The actual height of the panel is a bit less because 1⁄64″ is taken off both top and bottom to provide clearance. The key parts of a rack are two uprights, usually steel. Down the center of each runs a series of holes tapped to accept 10-32 machine screws (sometimes 12-24). A clear space 17⅜ inches wide is left between the uprights. To mount a piece of equipment, its front panel is held against the uprights and screws passed through the panel into the holes in the uprights. Very heavy equipment may need additional support, such as angle brackets mounted to the rear of the uprights, or shelf supports running to additional uprights in the rear. The holes in the upright occur in pairs with their centers ½ inch apart. The pairs are spaced with 1¼ inches from the center of the bottom hole in a pair to the center of the uppermost hole in the pair beneath. Some manufacturers add additional holes. The 19″-wide front panels are generally aluminum ³⁄₁₆″ thick or steel ⅛″ thick. Sometimes the notches are not on the actual front panel but are provided by “ears” bolted to the equipment chassis. 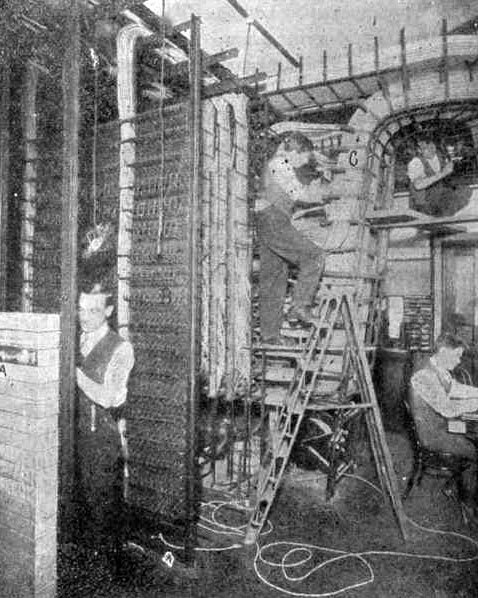 Rack mounting originated with the telephone company, who needed a standard for housing the millions of relays at one time used in the telephonesystem. Its adaptability, and the high quality and ready availability of components led to the system’s use in housing electronic equipment in industry and research,and in the 1980s by manufacturers of consumer audio equipment. The latter unfortunately sometimes made nonstandard sizes. Server farm showing many 1U servers. 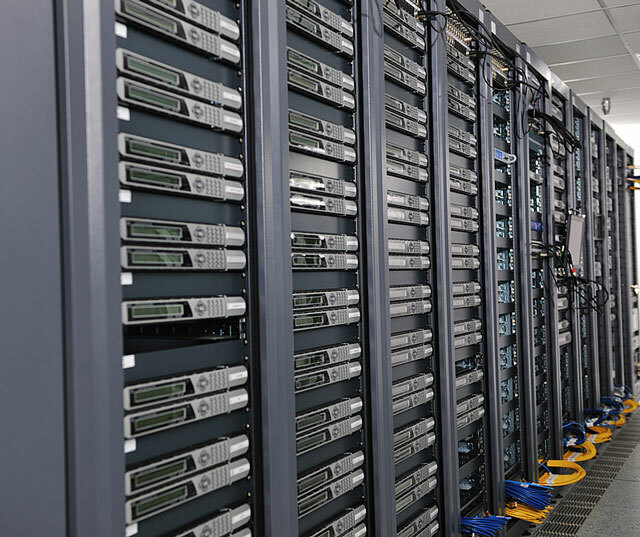 EIA-310D, Cabinets, Racks, Panels and Associated Equipment. This revision Sept. 1992. See also: DIN 41494 P1, Panel Mounting Racks for Electronic Equipments, and IEC 60297-1, Dimensions of Mechanical Structures of the 482.6 mm Series, Part 1: Panels and Racks. Nineteen inches was too small for FaceBook. Even racks have their enthusiasts. Last revised: 15 May 2016.